Karen's journey of healing has included many wonderful energy healing modalities over the past ten years, including Reiki, Esoteric Healing, Reconnective Healing, Bars/Access Consciousness and Seraphim Blueprint Healing. 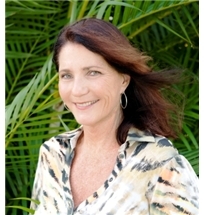 After years as a bodyworker/massage therapist, specializing in an eclectic blend of modalities, her interest in healing shifted to energy healing. She has received amazing results from all and is extremely enthusiastic about the Seraphim Blueprint Healing, so much so that she has decided to teach it to others Karen is willing to travel to various locations to teach Seraphim Blueprint Classes.